A famous dermatologist once told a gathering of doctors “Promise your patients an acne-free face, and you can sell them anything.” The cosmetics industry will try to convince its customers that a $50 cleanser is more effective than a $5 cleanser, and that a $100 cleanser (such as a famous brand made with blue-green algae gathered by hand from rocks in the warm waters of the Pacific Ocean just steps from the beach on Maui) is better still. Skin treatments don’t have to be exotic or expensive to be effective. The simple fact is, treatments don’t have to be a new, expensive drug or a high-priced facial mask from the other end of the world to be effective and sometimes acne clears up even when people simply cleanse their skin with soap and water right from the comfort of their home. There are ingredients, however, that are useful for getting rid of blemishes—and not necessarily expensive. Beware buzzwords that market acne cleansers. Line loyalty is usually a mistake. Expensive does not mean better. It’s not as easy as you might think to find an acne cleanser that is better than soap and water, but some products are much, much better than soap and water. It is a reliable rule of thumb for judging acne products to assume that more buzzwords generally belies lower quality. Marketing gurus count on being able to push your buttons with certain marketing terms that sound important but that don’t really tell you anything. Here are the most overworked examples. Bioidentical. There is an important role for bioidentical hormones in treating many age-related health conditions in both men and women. But do you really want to put a product on your face that is “bioidentical” to some aspect of your skin? The only bioidentical ingredients in acne treatment products that actually work are two that people tend to shun. These are cholesterol, which helps keep moisture in the skin, and ceramides (the polymer made in cooking grease when restaurants make French fries), which actually make up a large part of healthy skin. But you don’t need any of these ingredients in a cleanser! Cosmeceutical. A cosmeceutical is a food or a modified food that can be applied to skin. Milk, honey, apple cider vinegar, green tea, and cucumbers are all cosmeceuticals. 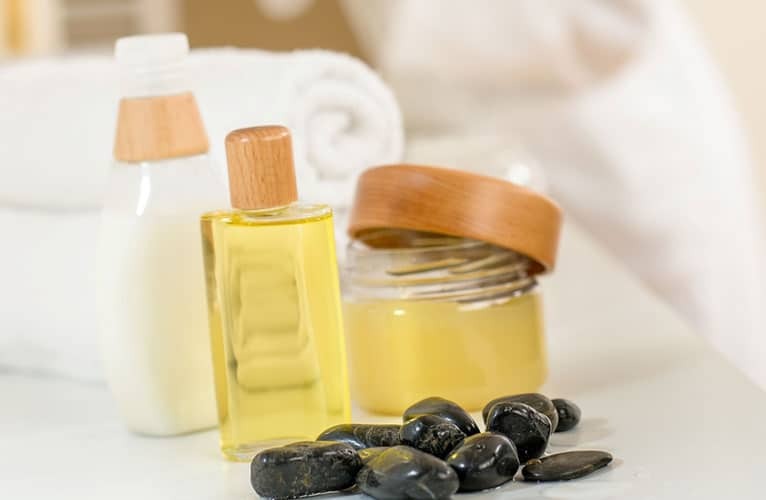 The ingredients that are used to make “cosmeceutical” products are foodstuffs, which are inexpensive, but the use of the term justifies charging more. Again, there is no need for any “cosmeceutical” in a cleanser. Essential oils. Essential oils are anything but essential. Although aromatherapy with essential oil has valid, scientifically confirmed and scientifically explained applications, slapping essential oil on your zits just makes them itchier. Avoid any and all cleansers that contain essential oils. For mature skin. Babies can get acne. Centenarians can get acne. Teens and tweens and people in their 20’s, 30’s, 40’s, 50’s, 60’s, 70’s and beyond can get acne. Acne doesn’t care how old your skin is. Fragrance-free. Fragrances can trigger allergies and aggravate rosacea. The ironic problem with “fragrance-free” products is, since there is no official regulation of the term, most of them do contain fragrances that are designed—as odd as it sounds—to make you hungry. In the United States, almost all fast food sauces contain vanilla. If your nose detects vanilla, even if your brain does not know what it is, you will get a craving for fast food. You can also develop a craving for skin care products. Miracle ingredients. An ingredient is a miracle for the manufacturer if the mention of its name results in vastly increased sales. There are almost no ingredients in acne formulas that are independently verified as having an unusual, positive, significant effect on the health of the skin. Noncomedogenic. A comedo is a blackhead or whitehead. A noncomedogenic product is one that supposedly does not contain oils that can oxidize and plug pores that form blackheads or whiteheads. This is a very basic requirement for any and all acne care products, but it is not one that has a standard definition in the skin care products industry. Doctor-tested. Many dermatologists formulate their own line of products. These are usually fine products. But if the brand just says that a “doctor tested it” and no doctor is willing to claim it, it’s usually best to try something else. Also, it’s almost never a good idea to use a cleanser that contains alcohol if you have dry skin. And it’s very seldom a good idea to use a cleanser that foams if you have oily skin. There are some very good acne cleansers products made by companies that only make acne care products. Exposed Skin Care is a good example. When you find a system that works for you, stick to it! But it’s not necessarily a good idea to be loyal to some big-name manufacturer’s products. They aren’t even loyal to themselves. Estee Lauder, for instance, markets its products under the brand names Aveeno, Tommy Hilfiger, Aveda, Clinique, M.A.C., Flirt, American Beauty, Bumble + Bumble, Michael Kors, Grassroots Beauty, Donna Karon, and Ojon, among others. Procter & Gamble makes Cover Girl, American Beauty, Aussie, Camay, DDF, Ivory, Pantene, Head & Shoulders, Noxema, Frederic Fekkai, and dozens more. If the parent company doesn’t think enough of its product to avoid creating a competing brand, maybe you should not, either. Acne cleansers can cost as much as US $300 per fluid ounce (30 ml). Although there can always be a first time, the most expensive products have never been the best. The real expense for most people who have acne, however, comes from trying a bottle of this and a tube of that, sometimes finding a good product and usually not, rather than investing in complete skin care systems with money-back guarantees. So why not just use soap and water? Actually, assuming your outbreaks have healed and you let the soap do the work, that is, you apply a lather of soap to your face rather than rubbing it in, you might actually do just fine with soap and water. Most people who have acne, however, need a little more. Here are some suggestions. Don’t use cleansers that come in a jar. How long does a jar of food in the refrigerator last once you have opened it, before it becomes a moldy mess? Cleansers that come in jars are magnets for bacterial contamination, exactly what you use them to control. Don’t use cleansers that make your skin feel tingly. They dry out the skin. Flakes of skin gather around the edges of pore and trap oil inside. Don’t use cleansers that leave your skin feeling oily. If you can feel oil on your skin, you are certainly accumulating it in your pores. Don’t use cleansers that contain irritating ingredients, namely alcohol, arnica, bergamot, bitter orange, camphor, cinnamon, citrus (grapefruit, lemon, or orange), lavender, linalool, anything labeled menthol or menthyl, peppermint, sodium laurel sulfate, sodium laureth sulfate, wintergreen, witch hazel, or ylang-ylang. Don’t bother with antioxidant cleaners. You just wash the antioxidants down the drain. Water-soluble. Your skin is designed for contact with water, and your cleanser should be soluble in water. Gentle. If you can “feel it working,” it’s damaging your skin. Soap-free. Soap is great for getting rid of heavy dirt and grime, but soap film can also clog pores. Your acne cleanser should rinse off your skin even if you don’t use a washcloth (and it’s a good idea not to use a washcloth, both to avoid irritating the skin and to avoid reinfecting it). When you rinse it off, you should feel nothing at all, nothing slimy, grimy, or tingling. And cleansers should never irritate your eyes, make you sneeze, or leave a bad taste in your mouth. Does your experience with different cleansers leave you feeling like the victim of dirty tricks? Try a different approach with Exposed Skin Care.